MWM NEWS BLOG: Illustration. WIRED Magazine. 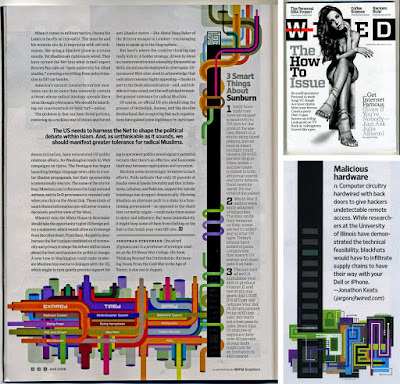 I have two editorial illustrations in the August issue of WIRED Magazine. The full-page, full-color piece is for the monthly section "Expired.Tired.Wired" and the smaller piece is for a feature on malicious hardware. This is an honor, WIRED is a top-notch magazine that truly celebrates contemporary art and design. Click-Zoom.